When it comes to medical aids in South Africa, many consumers are finding that they are disappointed; their expectations aren’t being met. However, in medical aid surveys, Bonitas was the one that came out on top. 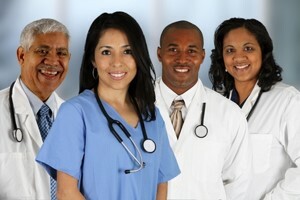 To find the best medical aid in South Africa read further. To find the best medical aid in South Africa is very difficult. Firstly there are so many medical aids on offer, and secondly, they all offer so many different benefits and options. This sometimes makes it impossible to figure out which one will be best. We also have to contend with the fact that even though our health is imperative, it comes at a high cost. These costs rise rapidly every year. For the consumer this affects membership to a scheme, it affects the contribution rates as well as increases. These also are often higher than the general inflation rates. Who is administrating the medical aid scheme – have they got a good track record when it comes to client services? What coverage are you getting from your medical aid? Most medical schemes pay the claim depending on the option. That is usually between 100-300% of medical scheme rates. Know what your rights are. Read the disclaimers, read the rules of your scheme, your obligations and rights. If you want to receive the best in medical care in South Africa, you are going to have to choose a decent medical aid – it’s an essentiality. When you invest in one of the best medical schemes in South Africa, it is important that your chosen one is solvent and stable. The best medical schemes in South Africa are at the top of the list for a good reason; they are stable; they offer the best service, and they have been around for many years, gaining their good reputation. You just can’t afford to be without at least some medical assistance.